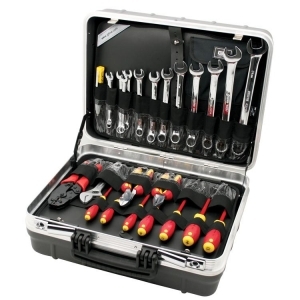 Henchman Products is widely known as a leading custom toolkit provider globally. Our long experience in customising superbly fitting foam interiors for a large range of applications allows us to deliver a superior service, product and price. In the links below there is a number of kits that have been built for our clients and we can reproduce these for you or modify them to suit your requirement. Manufactured from high density Polyethylene (PE) foam and faced with a hard layer of chemical resistant Polypropylene (PP), your individual products are digitised into our CAD software to enable customising to individual case layouts. 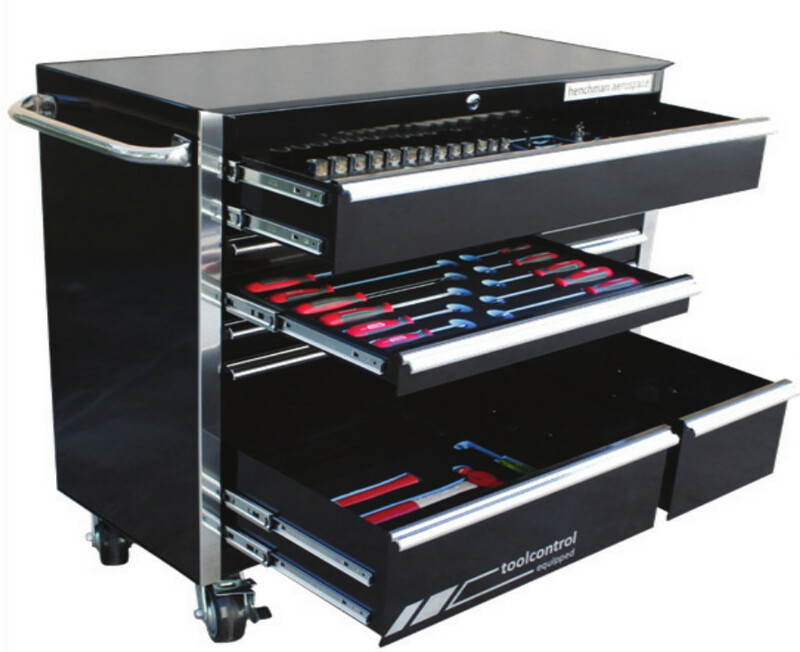 Henchman will work with you to design your bespoke tool kit solution using one of many storage solutions as shown in the below images. 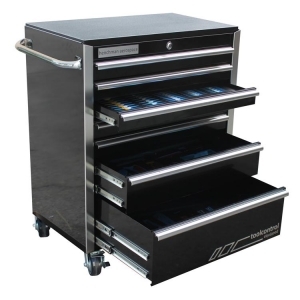 The same list of tools can be installed into a Roll Cabinet, Tool board or Fly away kit whichever suits your specific requirement. Contact us now to discuss your requirement. 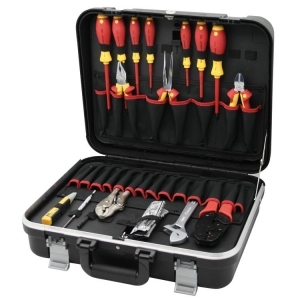 Excellent for maintenance applications in the hanger. covers a good portion of comon aircraft structures tools, with space avaible for specific requirements. 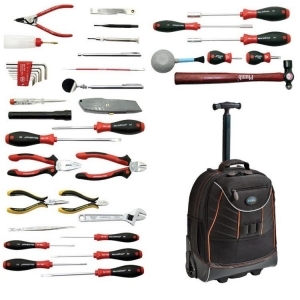 "Small and Compact" with an excellent assortment of tools essential for basic Line Maintenance requirements. Convenient shoulder strap supplied as an optional extra takes the hassle out of the long walks. Engineers simply love this kit! 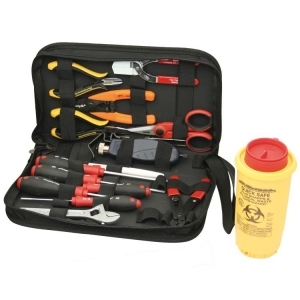 Our most basic yet essential selection of tools for almost any electronic maintenance work. 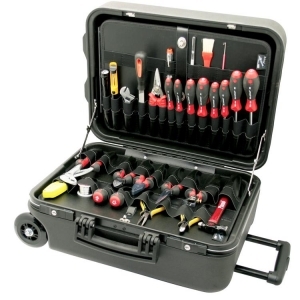 Set out in our popular Minitech 302 case which provides a place for multimeter storage. 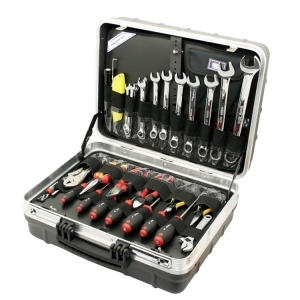 The tools selected for this kit suit technicians maintaining office equipment and many other areas. 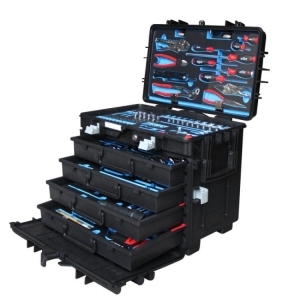 this case suits the techinicians who need to carry a lot in as small a case as possible - Large enough to hold a comprehensive range of tools, yet small enough to tuck under your arm. 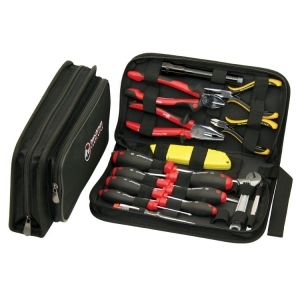 The comprehensive electronics kit in the protech double zipper case provide quick and convenient access for all tools. Every design feature has been thouroughly tested in extensive field trials over years of proven use. 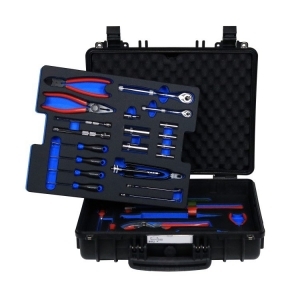 A useful combination of tools for the electronic service technician or student technician. 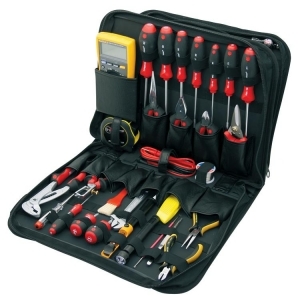 Add a fluke multimeter and soldering iron of your choice to complete this kit. 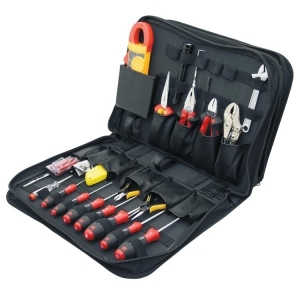 Selected as a more general purpose electronic toolkit with a few larger type tools than the electronic service kit TZK802 ABC. 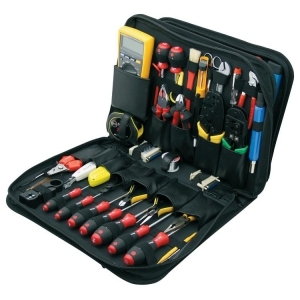 By adding a multimeter and soldering iron, you will have a very useful and versatile kit. 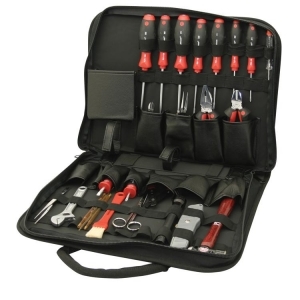 A well chosen selection of high quality tools which will please the most fastidious user. Ideal for maintenance in plant applicactions, and particularly remote-site service operations. 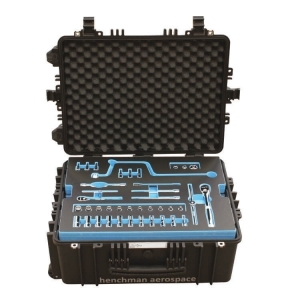 The Atomik case is an extremely lightweight, yet robust, polypropylene toolcase suited to the busy life of a technician. 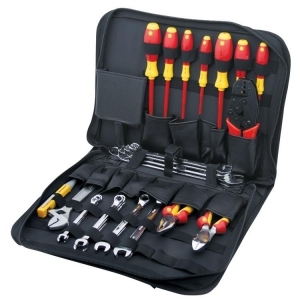 A well chosen selection of high quality tools which will please the most fastidious user. 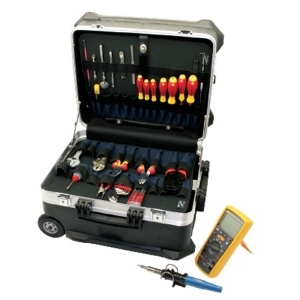 Ideal for maintenance in plant applications, and particularly remote-site service operations. 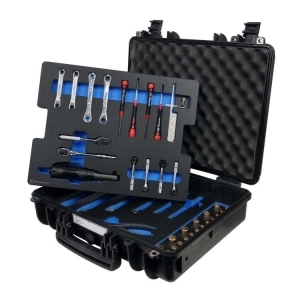 This toolkit is a very popular choice providing two useful trays of tools in foamkit in the Atomik case providing quick and convenient access for all tools. 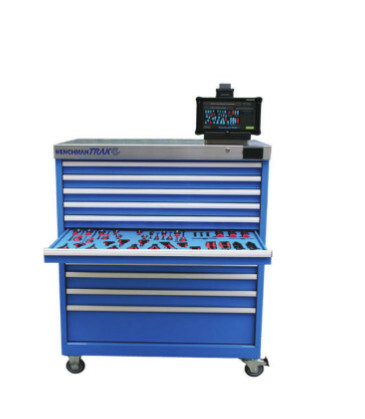 the foam tool tray system gives excellent visual tool control. Every design feature has been developed working closely to meet the needs of our customers in extensive trials over many years. 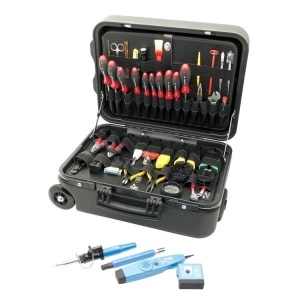 The ideal technicians kit for photocopier repair, set out in the popular Innova ABS toolcase. 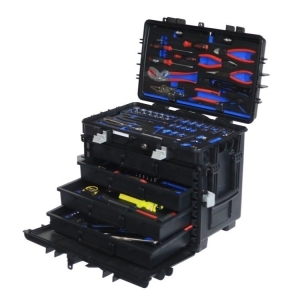 The Innova is an economically ABS case with lid and base pallets, document pouch and divided base area for organised storage of a multimeter, solvent bottles, cleaning rags, etc. 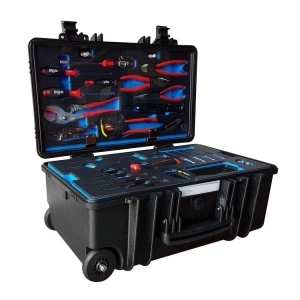 A multimeter and soldering iron to suit your needs completes this kit. 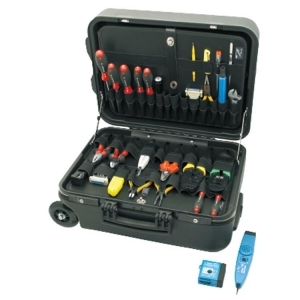 The ideal technicians kit for photocopier repair, set out in the popular Revo wheeled ABS toolcase. 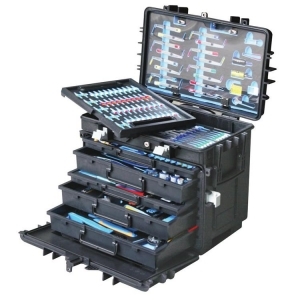 The Revo is an economically ABS case with lid and base pallets, document pouch and divided base area for organised storage of a multimeter, solvent bottles, cleaning rags, etc. 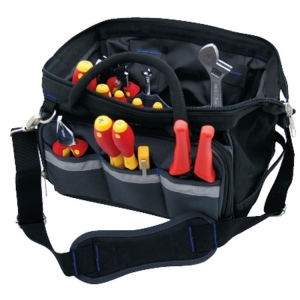 The ideal technicians kit for photocopier repair, set out in the popular drag bag style TT-01. 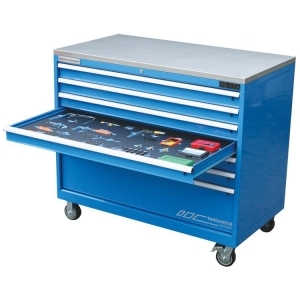 This tool trolley makes an ideal companion for technicians on the go, designed for carrying a limited set of tools and a notebook computer. 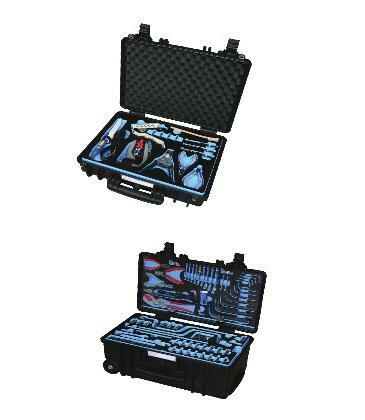 A toolkit for biomedical engineering technicians set out in an Atomik polypropylene toolcase. Ideal for installation and maintenance of medical equipment, like laser and imaging equipment. 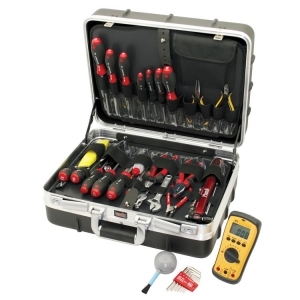 Add a multimeter and soldering iron of your choice to complete this kit. 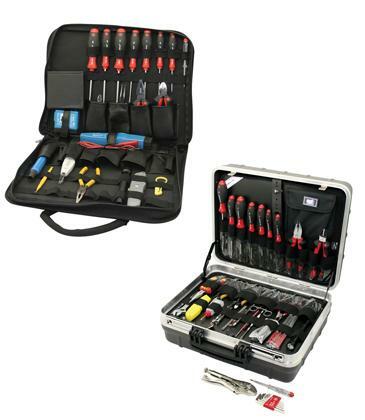 A useful combination of tools for service technicians or office equipment, copiers, fax machines, etc. 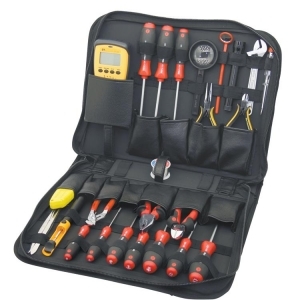 Select a suitable soldering iron and multimeter to complete this kit. 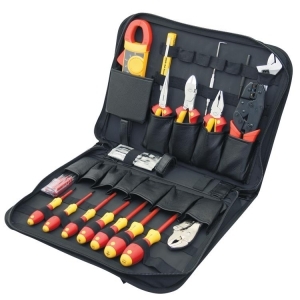 A tried and tested kit of installation and repair of networks and associated equipment. Ideal kit for todays fast moving computer technician. the choice is your for the selection of a multimeter and soldering iron. 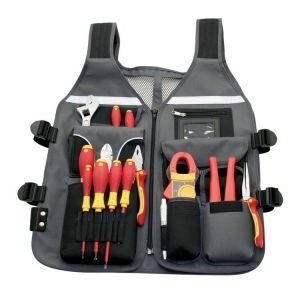 The LAN kit is specifically designed for installing and maintaining networks. 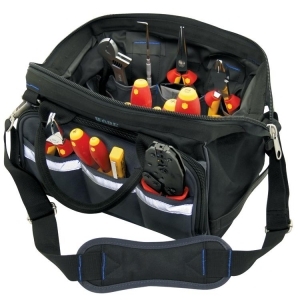 Covers all frequently needed hand tools for networking. The field of Telecommunications in both voice and data transmitters requires specific tooling and test equipment. 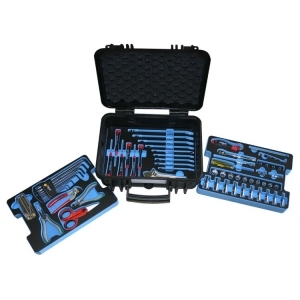 this kit includes tools like a punch-down tool, scotch lock pliers and an inductive tone and probe kit, which are all essential to this industry. 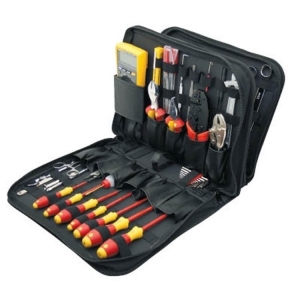 This Kit contains an Ideal selection of networking tools. 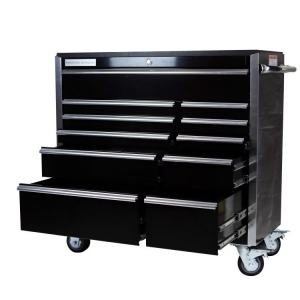 Space is provided in the base of the case for further tooling requirements. Set out in the MegaWheels case for those long passages in city office blocks. 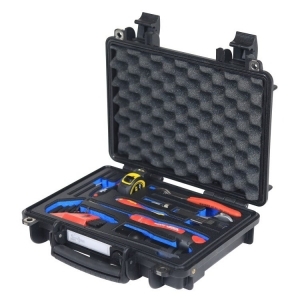 A compact kit with the basic tools for fibre-Optic termination to suit ST, SC, FC and LC connectors. A popular choice of tools to suit the average sparky. 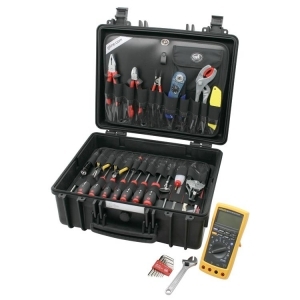 Add a few more specifically required tools and/or test equipment to cover all your requirements. 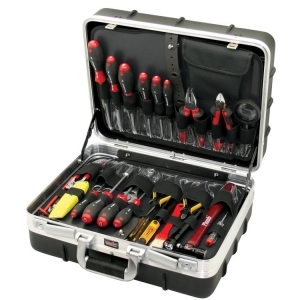 Our Electromechanical kit is set in the robust Atomik toolcase of polyethylene, covers a wide range of needs. 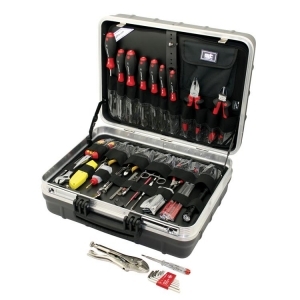 Includes insulated 100V hand tools and a complete set of combination spanners. 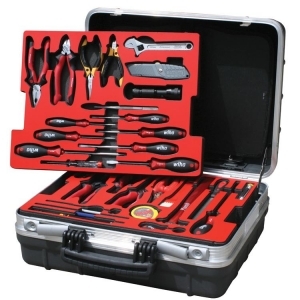 A comprehensive selection of tools to suit a wide variety of requirements of electro-mechanical work. 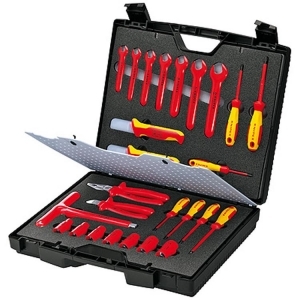 Supplied with a full range of spanners, VDE pliers, VDE screwdrivers plus many more vitally useful hand tools to ensure you have what is needed for every requirement. 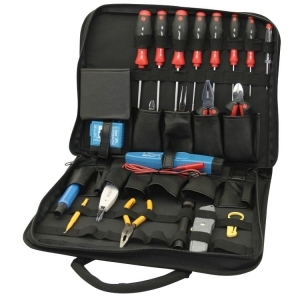 Simply add a soldering iron and multimeter of your choice to complete this kit. 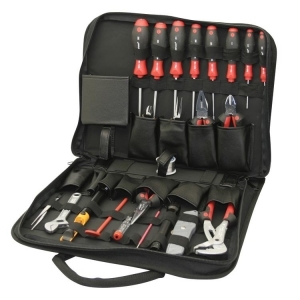 This kit is to meet the requirements of a service technician who has more mechanical service work. 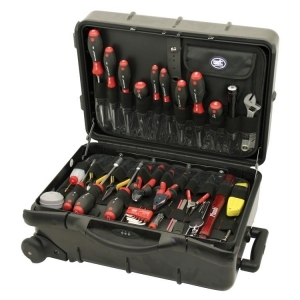 Fitted with standard non-insulated screwdrivers to give easier access on non-electrical work. Supplied in the MegaWheels to suit travel. 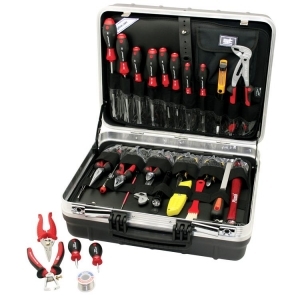 This kit is to meet the requirements of a service technician who has more mechanical service work. 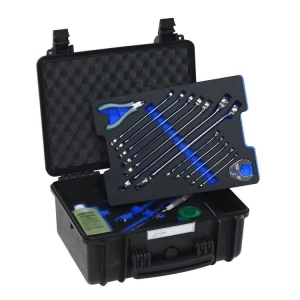 Fitted with standard non-insulated screwdrivers to give easier access on non-electrical work. 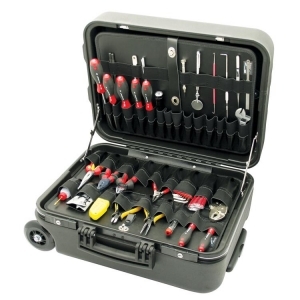 Supplied in the Atomik Case to give your tools extra protection during transit. 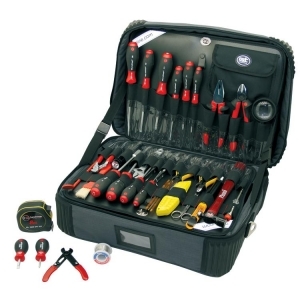 This kit is to meet the requirements of a service technician who has more mechanical service work. 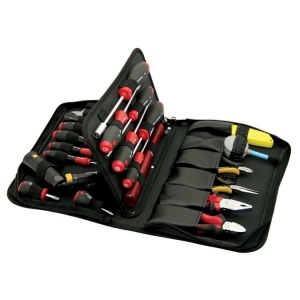 Fitted with standard non-insulated screwdrivers to give easier access on non-electrical work. 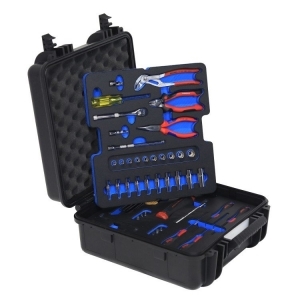 This toolkit is selected to suit technicians working with Milspec connectors and working in harsh conditions, Eg. Naval vessels. 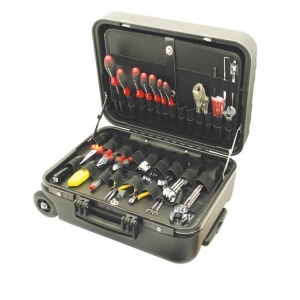 Set out in the waterproof Explorer case with space in the divided base area for tools and consumables. 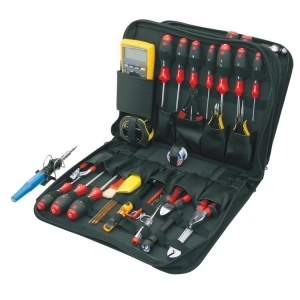 To complete this kit, Select a multimeter and a soldering iron of your choice. 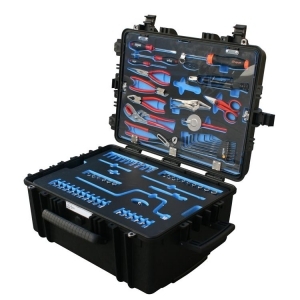 The Comprehensive Field Service kit is set out in 3 layers of CNC cut foam trays. 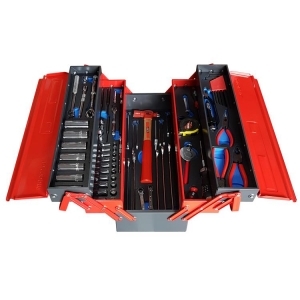 Providing the best way to ensure that you dont leave your tools, a quick and easy tool selection when in use and keeps your tools neat and tidy in their place. 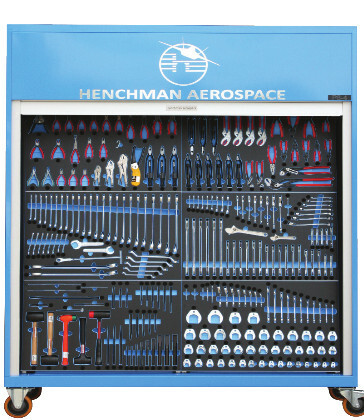 Manufactured for Henchman Aerospace to our specifications. Heavy duty 5x2 PU casters; 2 Rigid & 2 swivel"